We’ve all been through it. You try on your jeans and they got tight overnight. You step on the scale and the number is much higher than the last time you checked. When you want and need to get rid of that new weight fast, the Cabbage Soup Diet is one of the best options available to you. This diet helps people lose extra weight fast and easily. It’s a great way to shed just a few pounds or to jump start a bigger weight loss plan. The Cabbage Soup Diet is a low calorie, low fat diet that’s built on a tasty, filling soup. The diet is designed to last just 7 days, which makes it easy to stick to. Each day you eat as much of the high fiber soup as you want but at least three bowls, plus drinking 8 glasses of water and the food that’s on the menu for that day of the diet. The Cabbage Soup Diet is the perfect way to lose fast in a way that includes eating as much food as you want. The food that you’re eating is healthy and filling and has the added benefit of providing you lots of important nutrients. As an added bonus, the cabbage that the soup is based on has scientifically proven anti-inflammatory and antioxidant properties! Some health experts argue that the diet gives too few daily calories and not enough nutrients. They also argue that most of the weight that is lost is water weight and will come back as soon as the diet is over. But people who swear by the Cabbage Soup Diet say they turn to it every time they have a few pounds to lose. The Cabbage Soup Diet is a very low calorie diet. The soup that you’re eating is filling but has very few calories so you are likely to be taking in 1,200 calories a day or less. That means that most people lose at least 7 to 10 pounds in a week, and some people report losing even more! The Cabbage Soup Diet has been around for decades. That’s a sure sign that it works, and that means that plenty of people have copied it and tried to promote different versions that they have called their own. Some of the names have been associated with different well-known medical facilities: these include the Mayo Clinic Diet and the Sacred Heart Hospital Diet, but those hospitals say that the diets aren’t theirs. All of the names that have been used for this diet send the same message: It’s for people who need to lose weight fast, whether for a concert tour, a photo shoot, to maintain a certain weight for a job, or to get in shape for the military. The bottom line is that the diet helps people who need to lose weight fast get the job done. The key to the Cabbage Soup diet is that you need to stick to the plan exactly. It works because the food that you’re eating is low calorie, high fiber and rich in the nutrients that you need to get through the week. You’re allowed to eat as much of those foods as you want on the assigned day so that you’re never hungry. And you’re drinking plenty of water so that at the same time you’re flushing toxins out of your system. The Cabbage Soup Diet lasts for seven days. It cuts out almost all fat and sugars except for natural sugar found in fruit. The diet’s creators were very smart and understood that you’d need something sweet every once in a while, as well as that you’d need a food that would make you feel full quickly and keep you full for a long time. The quick weight loss that you’ll experience on the Cabbage Soup Diet will get rid of your belly bloat and help you get rid of your muffin top. Your clothes will feel looser and you’ll have a lot more energy. You can choose to stop at the end of 7 days, or use the boost that your quick weight loss has given you to help you stick to a more long term diet moving forward. What Are the Benefits of the Cabbage Soup Diet? The ingredients that you need to make the soup and fill out the rest of the week’s menu are all inexpensive and easily available at your local market. How many diets have you gone on that have kept you to nothing but salad greens or grapefruit? The Cabbage Soup Diet gives you a tasty soup that’s chock full of ingredients, plus plenty of fruits and vegetables and beef that keep you feeling good about the nutrients that you’re putting in your body. It also keeps you well hydrated, and that means you’ll have plenty of extra energy and get rid of the water weight that’s been making you feel puffy and bloated. 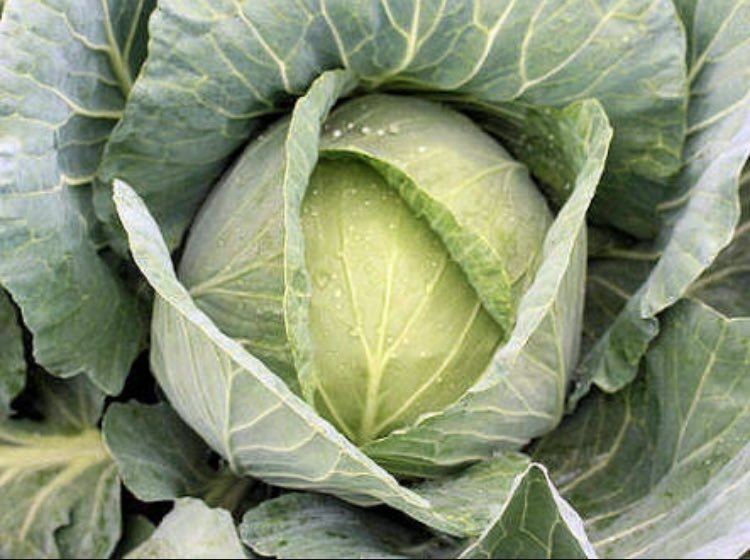 Cabbage is a food that’s long been known as being loaded with fiber. It takes a lot more calories for your body to digest so much fiber and it keeps you feeling full at the same time. Plus, with all the fruits you want to eat on fruit day and plenty of vegetables on other days you know that you’ll always be able to grab something to eat whenever you’re feeling hungry. One thing that it’s important to remember about this diet is that all fiber can have an effect that’s a bit too powerful. Be aware that you may experience gas, or even cramping. Everybody is looking for a simple and effective cleanse these days, and the Cabbage Soup Diet plan helps you clean yourself out at the same time that you lose weight. The cabbage and other high fiber foods you’re eating will keep your system moving, and all the water you’re drinking will clean out your kidneys too! Everything that you eat on the Cabbage Soup Diet is a whole food. You’ll break the bad habit of eating chips and white bread and other processed foods. People who go on whole food diets of a week or longer find that they are much less interested in eating junk food and sweets after. The Cabbage Soup Diet is one of the easiest diets you’ll ever use. You don’t have to weigh anything or count any calories. Most of the foods that you’re eating you’re allowed to eat as much as you want. What could be simpler than that? The foods that you’ll eat on the Cabbage Soup Diet are all super healthy and loaded with nutrients, vitamins and minerals. The downside to the diet is that you’ll be cutting your calories — by a lot. That’s how you lose so much weight so fast, but that’s also why you’re not supposed to stick to this diet for more than seven days. Some people who go on the Cabbage Soup Diet end up feeling dizzy or week. When they stand up too fast they get a little lightheaded. It’s a good idea to skip the gym on this week because you’re cutting out so many calories. The secret to the Cabbage Soup Diet lies in the ingredients that you’re eating and the extra calories and fat and sugar that you’re cutting out. You have to stick to the diet exactly to the letter without cheating. Don’t forget to drink 8 glasses of water a day. It’s important. Every day’s meal plan is there for a reason and so are the things you’re not allowed to eat. If the plan says no potatoes or corn, don’t eat them. Don’t let yourself get hungry. There’s no reason for it and when you get hungry you’re much more likely to cheat. When you’re hungry you can always eat soup, drink water, or eat the other foods that are allowed on that day. Don’t add extras to the diet, and especially not fat or sugar or salt. When you salt your food you work against the diet’s main action of getting rid of excess water weight. Don’t drink anything other than the liquids allowed on the diet. You’re allowed to have coffee every day but don’t add cream or sugar. What Is the Cabbage Soup Diet Good For? There are lots of good reasons for going on the Cabbage Soup Diet. If you just want to lose a few pounds without changing the way you run your life or spending hours at the gym this diet will work fast. It’s also a great way to get back to your normal weight if you’ve lost a few pounds or to get ready for a special event or vacation. The Cabbage Soup Diet is also a great way to ease into a long-term diet or to introduce a new and healthier way of eating. It works a lot like a fast, so if you’ve been thinking about fasting but don’t think you can do it, this is a great middle ground. Best of all, this diet is perfect for people who want to lose weight without putting in much effort. There’s no calorie counting and no weighing foods, and the list of foods is easy to stick to and delicious! The Cabbage Soup Diet is so easy that the only thing you really need to do to succeed is to follow its rules. Make sure that you’re drinking plenty of water and don’t cheat, and don’t ever let yourself get hungry. The other helpful thing you can do is make sure that you’ve made plenty of the soup at the beginning of the week and done all of your food shopping ahead of time so that you don’t have to go into the market or take the time to cook when you’re hungry. The other thing you can do to avoid slipping is to commit to the diet mentally and avoid going out to restaurants and bars for a few days. It’s only seven days, and it’s a lot easier to say no to your friends and family than it is to say no to a bowl of cheesy pasta or a pizza. Make sure that when you make the soup, you only cook it long enough to make the vegetables tender. The longer the soup cooks, the more of the vitamins and nutrients it loses.